¡Celebra! This recipe is ready in just 20 minutes. 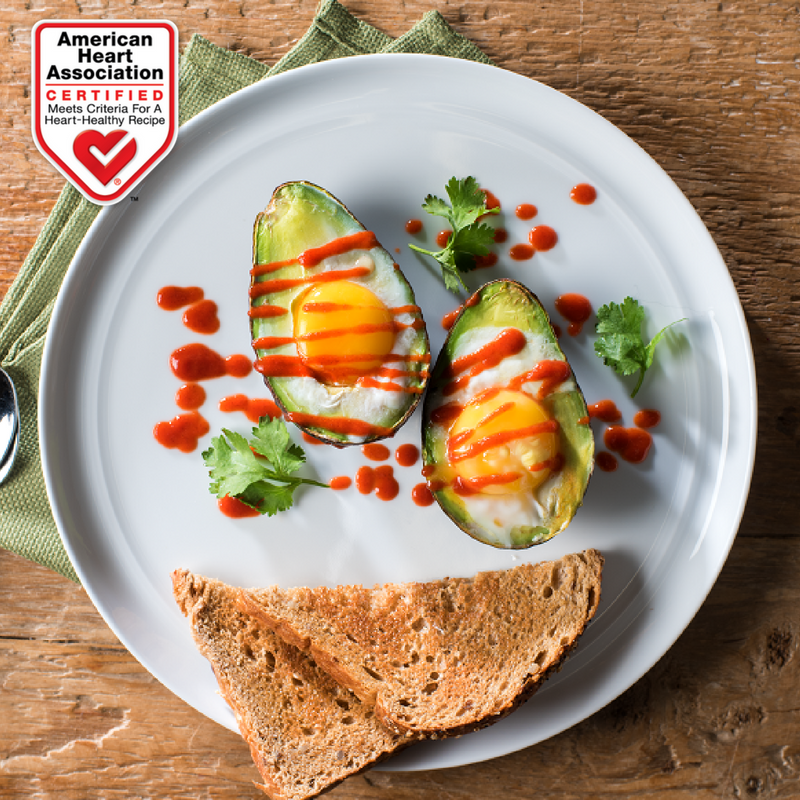 Creamy avocado, spicy sriracha and perfectly baked eggs will add a flavor boost to your morning routine. PREHEAT oven to 425°F. Line 8-inch square baking pan with foil. Scoop out some of the pulp from avocado halves, leaving hole big enough to fit an egg (reserve pulp for another use). PLACE avocado halves in prepared pan to fit snugly in single layer. Fold foil around avocado halves to prevent tipping. CRACK egg into each avocado half; season with pepper. Bake for 12 to 15 minutes or until whites are set and eggs are cooked to desired doneness. Let stand for 5 minutes before serving. 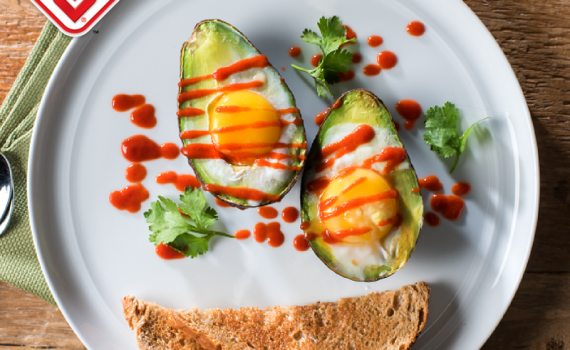 DRIZZLE each egg with hot sauce and sprinkle cilantro over top. 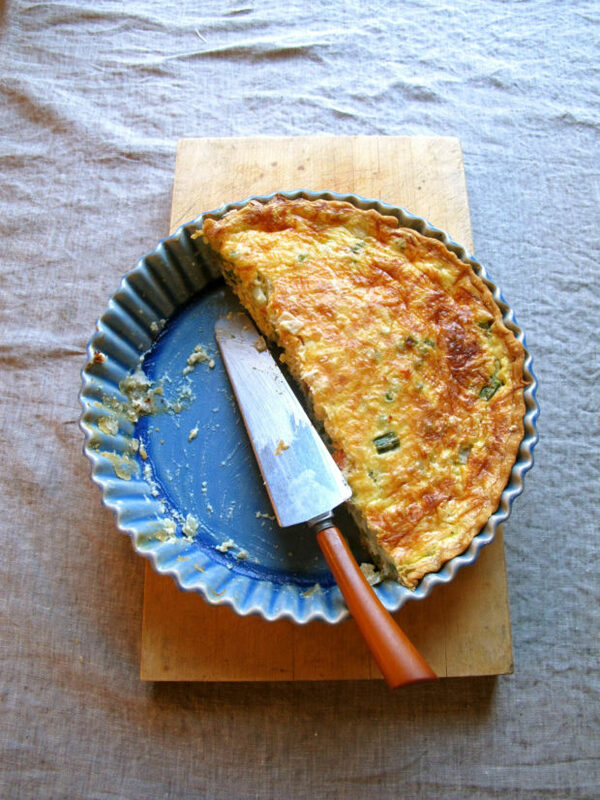 Who wouldn't like a quiche that tastes like spring? Heat olive oil in a large sauté pan over medium-high heat. Add fennel, onion and carrots and cook 4 minutes, stirring. Add asparagus, salt and pepper; cook 2 minutes. Add peas and garlic; cook 2 minutes. Spread vegetables evenly on the bottom of the pie crust. 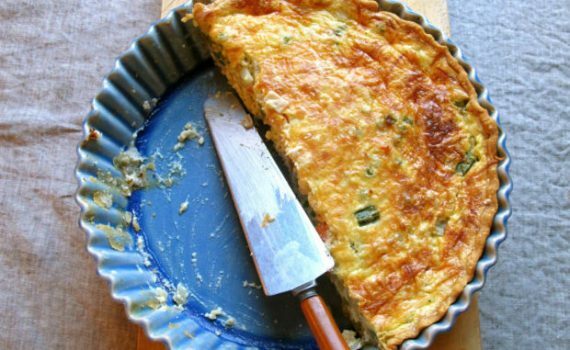 Whisk together half-and-half, eggs and herb cheese until smooth. Pour over vegetables. Sprinkle Parmigiano Reggiano on top. Bake until the top is puffed and golden brown and a knife in the center comes out clean, 30 to 35 minutes. Let cool 10 minutes and slice into wedges. Sprinkle each serving with basil. The savory taste of baked eggs, Parmesan cheese, and fresh herbs makes this breakfast (or brunch!) worthy of waking up for. Preheat the oven to 375°F. Grease a large, oven-safe skillet with olive oil. Arrange tomato shells snugly in the prepared skillet. 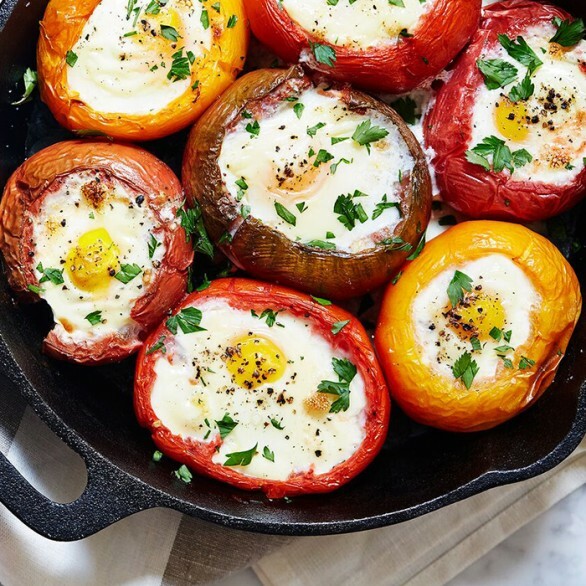 Crack an egg into each tomato. Top each egg with 1 tablespoon milk and 1 tablespoon Parmesan. Season each egg with salt and pepper.